Well they certainly took their SWEET time with this video, didn't they? Maroon 5 premiered the video for their Billboard Top 10 hit single "Moves Like Jagger" yesterday on E! Online and it's pretty freakin' hot. Directed by the fabulous Jonas Åckerlund (Britney Spears, Madonna) the video features a lot of old Mick Jagger/Rolling Stones footage (SURPRISE SURPRISE) as well as a lot of female Mick Jagger impersonators. The video also has Maroon 5 a lot of lead singer (and judge/mentor on "The Voice") Adam Levine in all his bare chested, heavily inked glory. HALLELUJAH! Levine's co-judge on "The Voice" Christina Aguilera also makes a brief appearance towards the end of the video to do her thing and look fierce while doing it. Job well done. The song, despite being released months ago, is just as hot as ever. Written by Adam Levine, Benjamin Levin, Ammar Malik and Shellback, and produced by Shellback and Benny Blanco, the song was a top 10 hit on the Billboard 100, peaking at #8 not to mention #9 up there in Canada. While success here in North America is nice, the song was a bonafied international hit, topping the charts in both New Zealand and South Korea and peaking in the top 5 in Australia and the Netherlands as well as going top 10 in Italy. The video's release comes just in time for the singles UK release on August 12th. 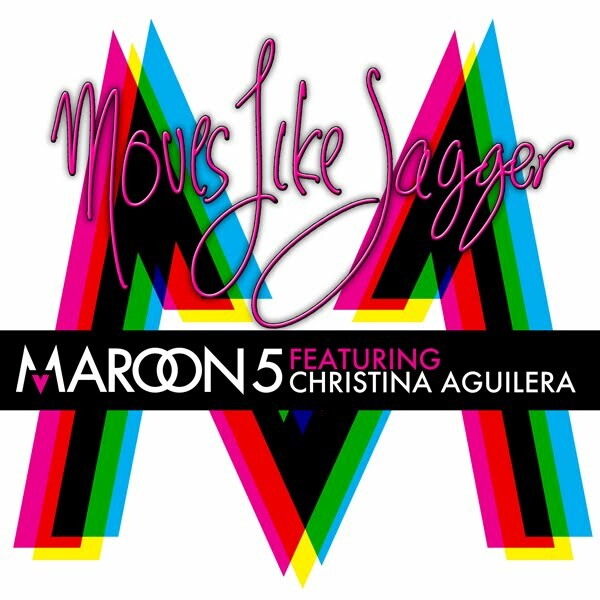 Check out the uber-hot video (which was released on VEVO today) for "Moves Like Jagger" below and download it on U.S. iTunes HERE. Oh and look for a hot REMIX package, with mixes from Soul Seekerz, Michael Carrera, and Cutmore. Hot Hot Hot! Get ready club kids, up and coming talent Kimberly Cole is comin' at ya with a brand new dance single. Released August 2nd, "Arrow Through My Heart" is a collaboration with international producer/DJ and remixer extraordinaire Eddie Amador, featuring a nice blend of dance pop, and a "hint of dubstep." In other words, it's a hot one! Featuring fellow new artist Garza, "Arrow Through My Heart" is just begging to be played on the dancefloor and for some sick remixes, which I'm sure are on their way. Listen to a sample of the new single below. The name Kimberly Cole might sound familiar to some of you guys, especially if you're a fan of The Bad Girls Club over on the Oxygen Network. Cole's empowering debut single, "Smack You" was featured on the show's fifth and sixth season and features season 4 cast member Natalie Nunn. The song was hailed by Seventeen Magazine as an "incredibly addictive dance-pop tune," a review I couldn't agree with more. Check out the uber-hot video for "Smack You" below and get a taste for what Ms. Cole has to offer. Her debut album, cleverly titled Bad Girls Club, was released digitally on iTunes in 2010, becoming Oxygen's first co-branded music release. Cole co-wrote all of the album's tracks, working with a variety of big name talents including including producer/songwriter Jeeve (Nicole Scherzinger, Paulina Rubio) and songwriters Philip Lawrence (Bruno Mars, Cee-Lo Green), and The Writing Camp (Beyonce, Britney Spears). Look out for Cole's major label debut single due out later this year on Big Beat/Atlantic Records. This one time Katy Perry back-up singer is ready for her spotlight, having previously opened for such artists as LMFAO, Shiny Toy Guns and even Katy Perry. Watch this video and take a peak at what Kimberly Cole is like on stage. Download "Arrow Through My Heart" on iTunes HERE and get her debut album, Bad Girls Club right HERE. Also worth a listen? A sick remix package for "Smack You," including remixes by Bill Hamel, Dangerous Muse, Klubjumpers, Mig & Rizzo, Eddie Amador and more.